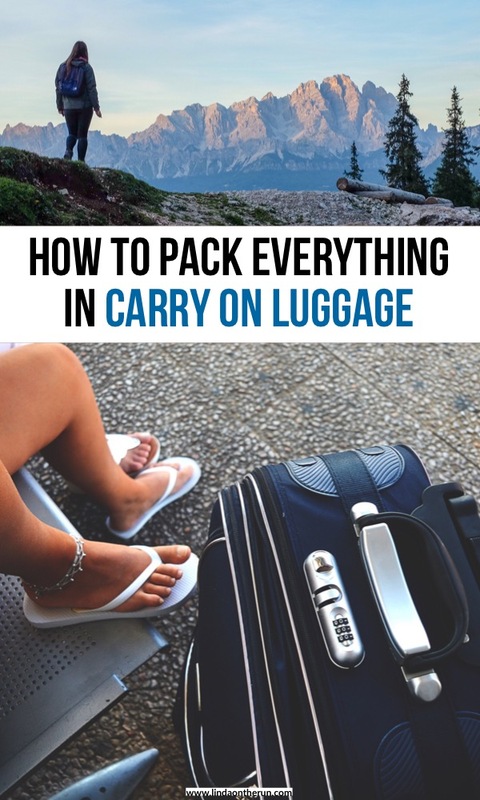 Are you looking for advice, practical tips and smart suggestions on how to pack light on your next trip using only a carry-on? Well, look no further because when I travel one of my first priorities is to pack lightly in roll-on-board luggage. We all instinctively know we should pack lightly when we travel, be it a weekend trip or a trip of several weeks. 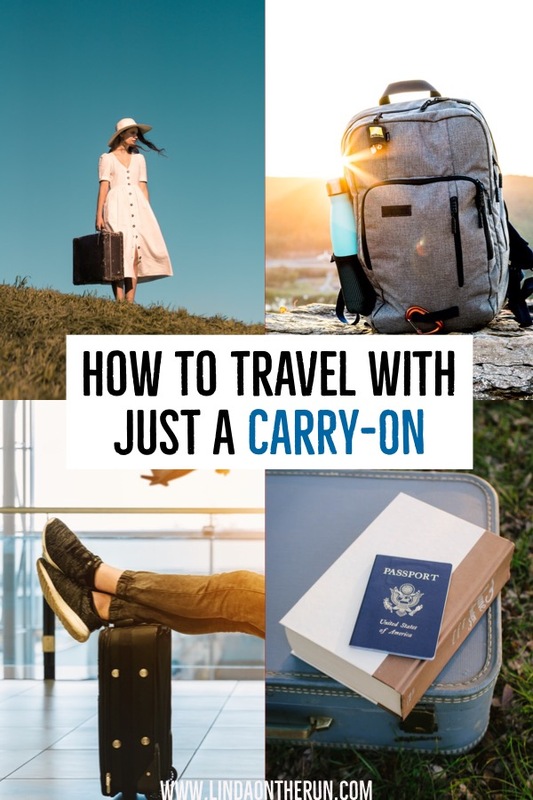 We also realize that when traveling to our destination via airplane, it is always more convenient to bring everything we need for our trip on board the plane in a wheeled carry on bag to stow in the overhead compartment and a personal bag to stow at our feet. But what does it really mean to pack lightly? 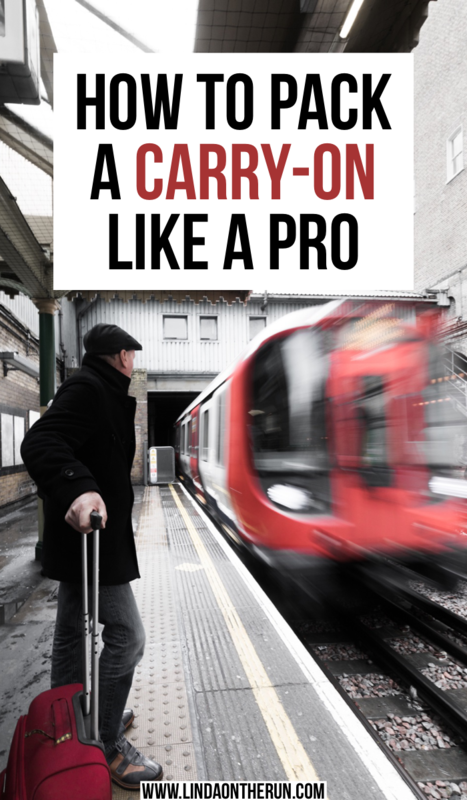 The pros of bringing a wheeled carry on aboard the plane instead of checking it are many. 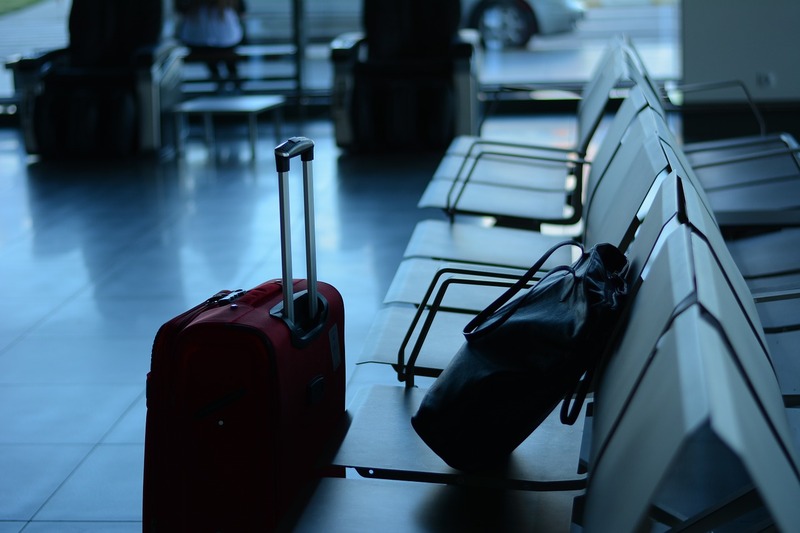 First off you will avoid paying checked baggage fees (although some budget airlines do charge fees to bring carry-ons aboard.) It’s always a prudent idea to research your carrier’s luggage policies. Secondly, you will face fewer lines at the airport both at check-in, when you just sail right past passengers waiting in those annoying long lines to check their bags, and after deplaning, when you are simply free to leave the airport and begin your trip while others wait for sometimes extended periods of time for the airlines to send their luggage down never endless chutes to the baggage claim area. 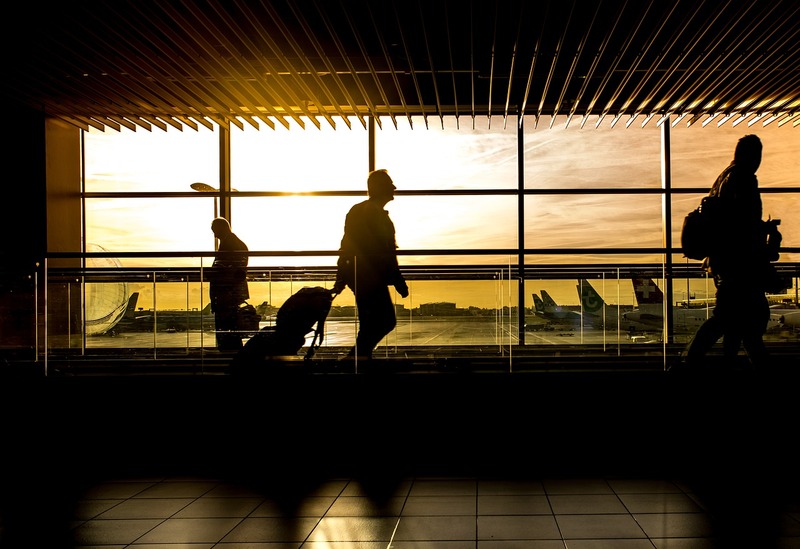 You won’t have to worry about the airline losing your checked luggage, or it not arriving at your final destination with you, especially if you have connecting flights if you have your bag with you onboard. Finally, it can be a luxury not having to haul large heavy luggage whilst navigating a new destination. This 21″ soft side spinner luggage is perfect for both domestic and international flights to wheel aboard. If you happen to prefer hard-sided luggage instead, this 20″ hard side carry on luggage is very affordable and comes in a lot of colors for you to choose from. Read next: How to avoid getting sick on a plane! No matter how long the trip, don’t pack more than one week’s worth of clothes. Plan to do laundry along the way for a longer trip. You may wash items in your hotel/Air B&B sink, using something like these Tide Sports travel sink packets, look for a close laundromat, or even pay your hotel to take advantage of their laundry service. Plan color-coordinated outfits. If something doesn’t work in many different outfits, leave it at home. Nothing can have a one time, one purpose use. When I travel, I am all about black pants, leggings or jeggings. Black goes with everything! These women’s skinny stretch jeggings would be perfect. They come in lots of sizes and are cheap. Depending on where and the time of year you are traveling, consider taking a scarf instead of a bulky sweater to layer. This pashmina shawl wrap scarf would certainly fit in any wardrobe as it comes in a multitude of colors and is inexpensive. Another tip on how to pack light on your next trip is to not pack bulky things when flying. Wear them on the airplane. Think, winter coats, heavy sweaters, really clunky shoes or boots. It is a good idea to have a waterproof jacket whenever possible when you travel and this Columbia trench rain jacket would be great. It is relatively inexpensive and comes in many colors. Always wear your heaviest shoes on the plane. You will want reliable walking shoes and these Skechers breathe easy sneakers would be perfect. Once aboard, you can fasten them to your carry on, or personal item and change into lighter shoes or sandals. You can stuff your heavy jacket or winter coat in the overhead bin, or use as a blanket for the flight. 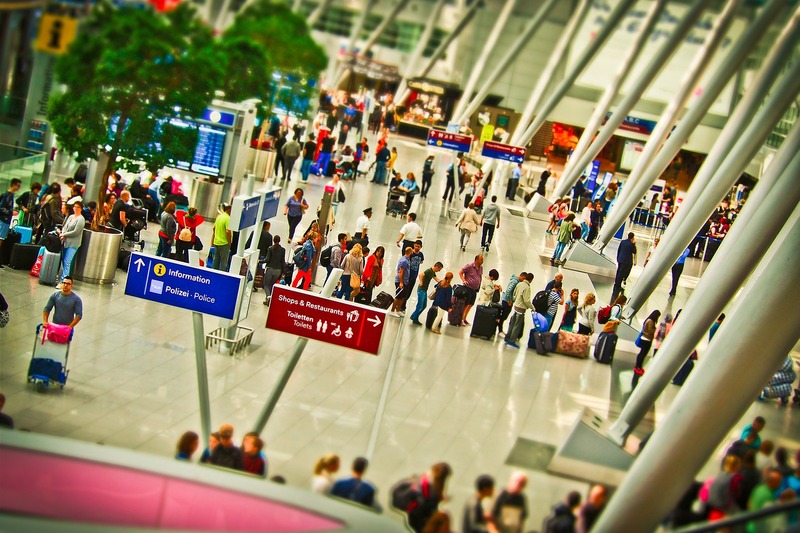 Read next: 7 tips for surviving long international flights. First, many people use compression bags (Space Bags) like these roll-up compression storage bags in an attempt to save space when packing. 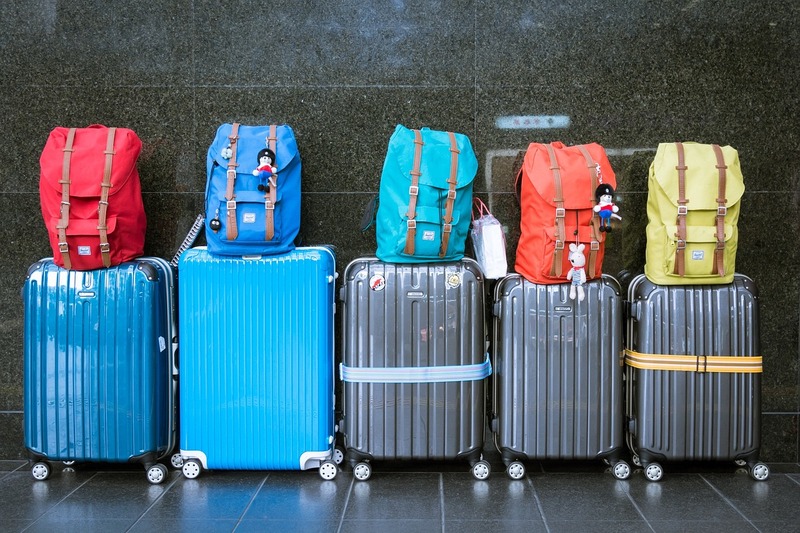 Compression bags can take up to 80% less space when packing so you must closely monitor how much your roll-aboard luggage weighs to remain within your airlines’ weight limits. Each airline has its own specific weight limits, so be vigilant and check with your airline. Secondly, rolling your clothes instead of folding them in your suitcase minimizes wrinkles and maximizes space. But rolling your clothes can be deceiving, so be aware of how much you are packing and how heavy your carry on bag is. Space Bags and rolling your clothes can tempt you to pack too much. Many airlines weigh carry on bags, especially international carriers. Currently, the US does not have weight limits for carry-on bags, but they DO have size requirements and they are always changing. 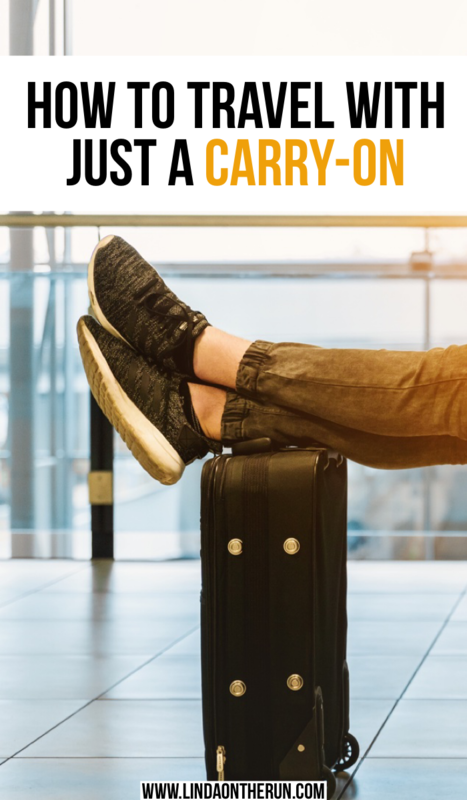 Always double check your airline’s website before each trip to make sure your carry on dimensions are correct, and your bags fall within the carrier’s weight limits. You may even consider investing in a luggage scale like this digital hanging luggage scale. It is much more convenient to remove items from a heavy suitcase in the privacy and comfort of your own home, than it is at the airline counter, with a million eyes on you watching and wishing you would hurry up! Thirdly, I happen to own two carry-on suitcases. Empty, one weighs over 8 pounds, and the other barely 5 pounds. Yes, it is my newer one. Because 8 pounds is too heavy, and I would rather use the extra 3 pounds to pack clothes or bring souvenirs back home from my trip, I often choose the one that weighs less. This carry on spinner case weighs just 5 pounds and would be perfect. Do you know how much your suitcase weighs? Travel paperwork. For instance, your lodging confirmation, flight information, passports, visas, etc. Place these documents (especially your passport and boarding pass) where they will be easily accessible, especially when passing through security and when boarding your plane. Cash. It is always good to have cash available for emergencies, tips, etc. and a no foreign transaction fee credit card. Check with your financial institution. I have an Amazon Rewards Visa credit card that doesn’t have an annual fee that I use. It’s also a good bet to have a backup credit card as well. VPN is often necessary when overseas, this allows you to safely use public wifi in foreign countries. With identity theft rampant these days, RFID blocking sleeves like these are a must to protect your passport and the credit cards you bring with you. A global plug-in adapter w/USB ports is a necessity, because who wants to end up with a tablet, computer or phone but no way to charge them? This digital worldwide universal wall charger is perfect for wherever your travels take you. But, don’t forget to bring your devices’ charging cords as well! You will def want some reading material for your flight, or you can go paperless with a Kindle or tablet. Amazon’s Kindle Fire HD comes equipped with lots of options, at a fairly reasonable price. Camera? If packing light, consider leaving your camera at home. Images from cell phone cameras are remarkably improving. Personal items to consider are your prescription medications, (bring enough for the duration of the trip, plus extra, just in case), vitamins and supplements, nondisposable water bottle, shampoo, conditioner, face creams, makeup, deodorant, toothbrush, toothpaste, floss, brush, comb, razor. That sounds like a lot, right? So, consider lightening up by leaving the shampoo and conditioner at home and purchasing some at your final destination. Or, use the hotel/AirB&B provided shampoo/conditioner bottles. Don’t bring every single makeup brush or eyeshadow you own. Pare it down, streamline by using one color palette. A TSA-approved travel bottle set like this one will help you keep your packing organized, and when you pass through security it will be easy to locate. Two pairs of shoes are usually recommended, plus a pair of flip-flops. For me, it’s my running shoes, probably a pair of Vionic or Merrel sandals, and a pair of flip-flops. I never leave home without my running shoes like these Brooks Adrenaline beauties. Without fail, I always wear my SOLE sport slide sandals on the plane. They have uber support, are very lightweight, and during the flight, I can kick them off and wiggle my toes. I also never fly without wearing my compression stockings, because hard as I try, I don’t move around enough on the plane. These ladies compression stockings help with circulation in my lower legs. Packing lists vary widely. Depends on the climate, the reason for the trip, and of course the person. Generally two pairs of pants and 3 or 4 styles of coordinating tops suffice. As I mentioned, I live in leggings when I travel to cooler destinations. These denim leggins with pockets are so versatile and can be worn with everything. This 3/4 sleeve tunic blouse would be very comfortable and comes in lots of colors. They can be dressed up or down depending on accessories. A skirt or dress is also advised like this loose swing casual dress. It comes in lots of colors and does not cost a lot. A sweater or overcoat can be worn on the plane and stowed away once aboard. I always have a simple black cardigan with me when I travel. It is great as a layering piece. Packing Cubes. I am a recent convert to packing cubes for travel. I used to stuff everything everywhere in my suitcase. That is bad enough, but when I arrived at my destination, I could never remember where I stuffed my things and had to rummage around, making a mess of my suitcase. Packing cubes keep everything organized and are a great suggestion on how to pack light on your next trip using only a carry-on. When you arrive, you simply unzip your packing cubes and you will see, neatly organized, everything you brought with you. No stuffing required! Make a mental note of what and how much you pack into your suitcase. When you return home from your trip, notice what you did not wear and do not bring It again. That’s easy, right? The advantages of packing not only lightly, but smartly, are huge. You will be more organized, you can bring your suitcase on board with you, it won’t be as heavy, and you will be able to skip long lines at the airport. Then there’s the plus of not having to put away so many things once you return home when you simply want to resume your life. Now you can because you didn’t pack that much to begin with! Please share your packing light tips and tricks in the comment section below. Please note that Linda On The Run has included affiliate links included in this post which means I may make a small commission at no additional cost to you on purchases you may make. Thank you. Great information and very helpful for frequent travelers. Awwww! Thank you so much for the kind words, my dearest. Hope you are feeling well. Great tips. I wondered about the packing cubes. I see them everywhere & wonder if I would like them. I do use the 1-quart bag for TSA, but your tip on limiting/reducing liquids is golden. That’s going to be a top priority for me in the future. Thank you.